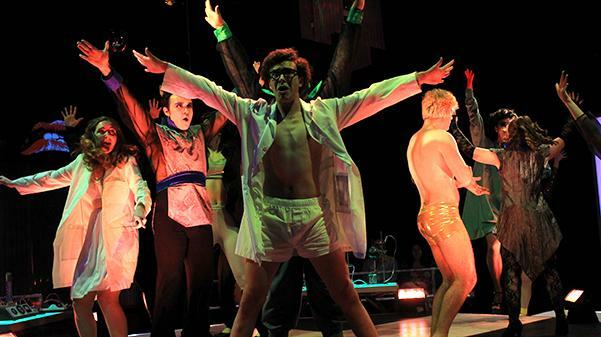 The Rocky Horror Show sold out five shows in the Emerson Black Box Theater this week. The Rocky Horror Show is taking the stage this week with outstanding lighting, an incredible set and a cast that is ready for anything, said Janet Strzelec, director of the show. The show follows a young couple, Matthew Hansen as Brad and Emily Friesen as Janet, after their car breaks down on a stormy night and they resort to finding help at the mansion of Dr. Frank-N-Furter, played by Weston Lundy. “As their innocence is lost, Brad and Janet meet a houseful of wild characters, including a rocking biker and a creepy butler. Through elaborate dances and rock songs, Frank-N-Furter unveils his latest creation: a muscular man named “Rocky,” according to Lindenwood’s website. Strzelec has directed several shows in the past but hasn’t recently due to her role as head of the dance program. 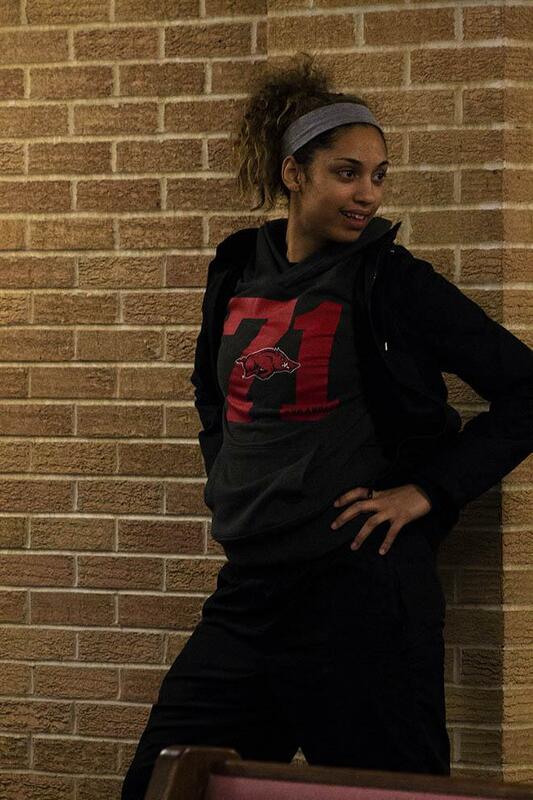 However, when Strzelec found out that Lindenwood was putting on the show, she jumped at the chance to direct it. She said that directing the show has been tough because of how well known the show is. While Strzelec cleaned up the show some, she left a lot of what makes Rocky Horror what it is in the show. Zachary Garcia, who plays a phantom, said that the case was able to really make the show their own with the guidance of Strzelec. She left a lot of room for creativity and was there to give the final OK on things. According to Garcia, the show explores gender and sexuality, and it can make the audience a little bit uncomfortable, which is one of the points of acting. It helps the audience to understand the performance and become engrossed in it. The cast was able to interact with the audience in a way none of them have ever been able to do before, according to Allison Arana, who plays a phantom. Everyone is watching from all sides of the room. She said it was a great learning experience for the whole cast being able to perform on the round set up. Lundy said there was something to learn from each of the characters in Rocky Horror. The sold out show is playing all this week, with performances on March 27 and 28 at 7:30 p.m., March 29 at 7:30 p.m. and 10 p.m. and March 30 at 7:30 p.m. in the Emerson Black Box Theater in the J. Scheidegger Center. 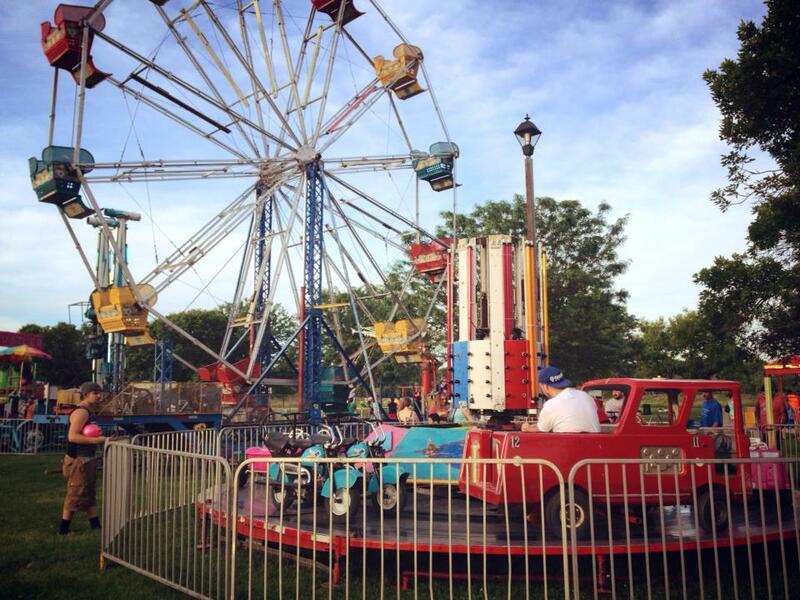 Posted May 28, 2014; 12:30 p.m.
Missouri River Irish Festival was held in Frontier Park, which is located between the Missouri River and Riverside Drive, from May 23 until May 25. The Irish Festival allowed people to come in contact with Irish culture, music and dance.